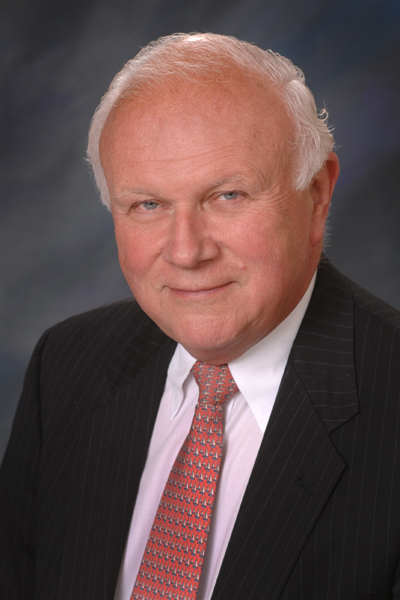 Albert J. Duryea formed Albert J. Duryea, Inc., a tenant rep real estate firm in 1978. In 1999, Duryea became the ITRA affiliate representing New York City in Midtown, forming ITRA / New York Realty Group. Mr. Duryea is licensed in New York and Connecticut. His real estate firms have always specialized in representing only the Tenant or User of corporate real estate. He has advised corporations and firms on new leases, renewals, current lease commitments, office space expansions and the disposal of unneeded facilities. Mr. Duryea graduated from Villanova University with a B.S. in Economics, graduated from Columbia Graduate School of Business with a MBA, and attained the rank of Lieutenant in the U.S. Coast Guard. His real estate career started at Charles F. Noyes Company and later he joined Cushman and Wakefield, Inc. where he was leasing agent of 245 Park Avenue and 850 Third Avenue. These two buildings contained over 2,000,000 square feet with tenants ranging in size from 1,000 sq. ft. to 500,000 sq. ft. When the buildings were sold he started his own firm. During the last 35 years he has closed countless leases of all sizes totaling over 17,000,000 square feet for his clients. Although most of his activities have been in NYC office leasing Mr. Duryea has also represented his clients in store leases, lease cancellations, project consulting, and leases in the suburbs and across the country. Working through the ITRA organization, Mr. Duryea has closed transactions in California, Connecticut, Georgia, Massachusetts, New Jersey and Texas, as well as the cities of Atlanta, Boston, Chicago, Denver, Los Angeles, Miami, Stamford and Washington D.C. & Lima Peru. Mr. Duryea’s office group includes his brother, Richard D. Duryea, who joined him in 1979, and more recently John Adams, and Tina Duryea. Each broker has over 30 years of experience in NYC office leasing and is committed to being an exclusive tenant rep broker. As a Real Estate advisor to a large number of different firms, with many that are based in other countries Mr. Duryea has become very familiar with the needs and customs of other cultures. Each client receives individual service and advice to meet their needs. Most of our current customers are old friends from prior projects. Referrals & repeat business are our lifeblood. New York is the most populous city in the United States, and the center of the New York metropolitan area, which is one of the most populous urban areas in the world. It has been the country’s largest city since 1790. The city is the home of several of the tallest buildings in the world, including the Empire State Building and the future Freedom Tower, which when complete, will be the tallest building in the United States. The city’s population density, low automobile use and high transit utility make it among the most energy efficient cities in the United States. As of August 2008, New York City has 5,538 high rise buildings, with 50 completed skyscrapers taller than 656 feet (200 m). New York City’s financial district, anchored by Wall Street in lower Manhattan, is the financial capital of the world, and home to The New York Stock Exchange, the world’s largest stock exchange. Time Square, Broadway, and countless other attractions brought over 40 million combined domestic and international tourists to New York each year of the past five years.